Hank assists Eddy the Rac performing amazing feats of illusion. 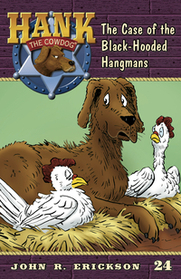 But the magic tricks backfire when Hank becomes a prime suspect in a felony and Eddy pulls a disappearing act. This tale leads Hank through the creepy haunted house as he tries to save his friend and clear his name.